Gamers need gamer-themed Halloween costumes, and until recently, they were really difficult to find. Most of them -- the game-themed costumes you could find -- were either off-brand (unlicensed) or had to be made from scratch. There was no real way to buy quality licensed costumes that gamers would love... until now. Our managing editor and her partner (also a SuperParent contributor) are dressing up as D.Va and Solider76 from Overwatch! Last year, their eldest son was Ezio Auditore from Assassin's Creed II (though he, of course, has never played the game, which is rated M). We've rounded up some of the best game-themed Halloween costumes out there that you can buy for your kids (or yourself) this spoopy holiday. Fortnite is the most popular game in the world. While it’s free-to-play, the game basically prints money for its developer as dedicated fans purchase Battle Passes and cosmetic upgrades for their accounts. One of the game’s biggest draws is the ability to collect costumes for its different playable characters. Now, some these costumes have come to life in the real world. Halloween and party store Spirit Halloween has a ton of different Fortnite-themed costumes, accessories, and other goodies to choose from this year, with costumes available for both kids and adults. As a couple of examples, check out this Brite Bomber costume for kids (it’s also available for teens and adults) and this Skull Trooper costume for adults. This popular shooter for teens and adults features tons of playable characters, and multiple stores are now selling costumes that will let you become some of your favorites. Spirit Halloween has adult costumes for Mercy, Reaper, D.Va (without her mech), and Soldier: 76 (just a jacket), while kids get a single option: Reaper. You can also pick up a few accessory items, like a fake version of Reaper’s weapon and Soldier: 76’s mask, if you want to put together your own costume. Meanwhile, Polygon’s Overwatch community site, Heroes Never Die, spotted another option for Overwatch costumes. 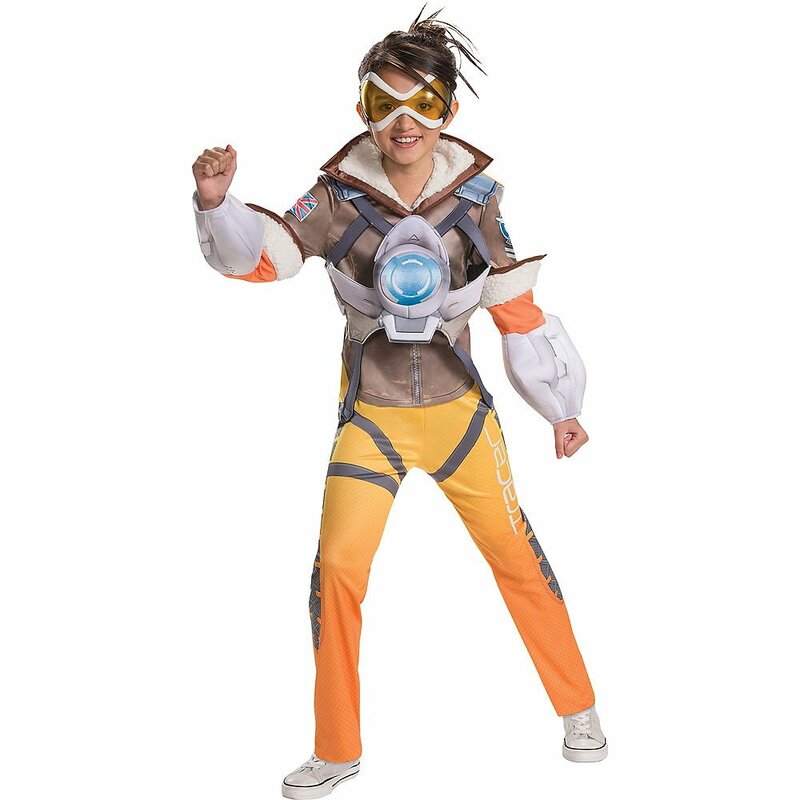 A costume website called Disguise offers Genji and Tracer costumes for adults, Genji, Soldier: 76, and Tracer costumes for the kiddos, and a couple of accessories: Soldier: 76’s gun and Genji’s sword. It wouldn’t be a proper video game costume roundup without an appearance from Mario and his friends. With characters as popular as those in the Mario universe, it’s no surprise that there are tons of different options for Halloween costumes. Kids and adults alike can become everyone from Mario and Luigi to Bowser and Princess Peach, or even act like they’re a racer from the popular Mario Kart series. Lots of different websites -- from regular department stores to specialty retailers -- sell Mario-themed costumes. Minecraft is all about unleashing your imagination. 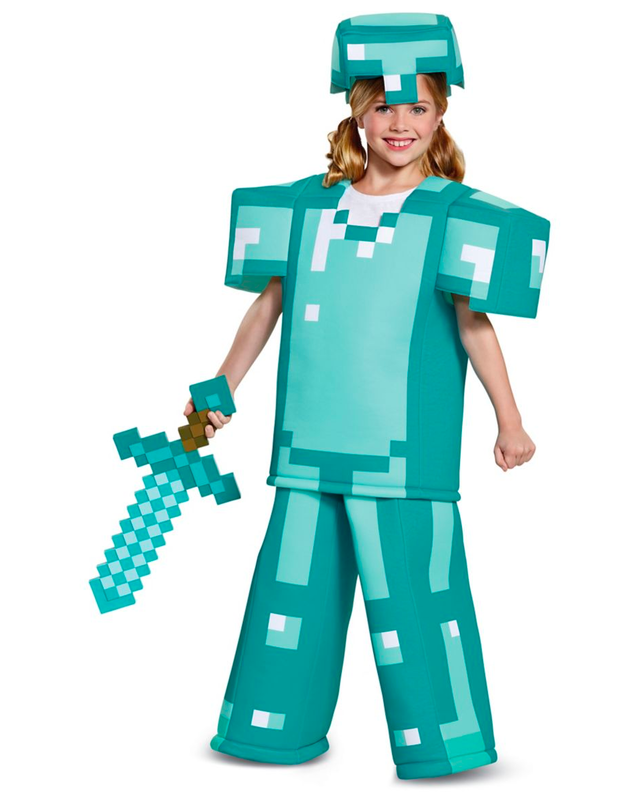 This year, kids can bring their in-game adventures to life by wearing a suit of diamond armor, or even putting on a large mask that makes them look like Steve or Alex, the game’s default human characters. This popular sandbox game isn’t just popular with kids -- adults can get in on the fun as well by dressing like Steve, or even a spooky Creeper. 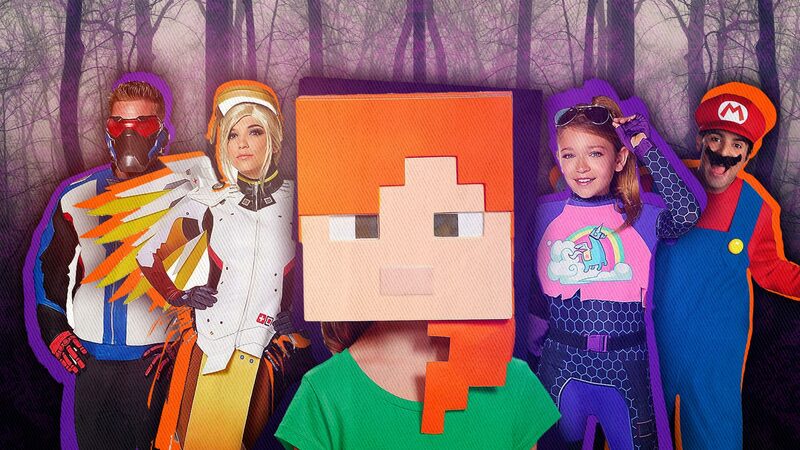 Like with Mario and the gang, there are plenty of stores and online websites that sell Minecraft costumes, so shop around to find the perfect one for the right price. Whether you and your kids play Pokemon Go on mobile, Pokemon Ultra Sun and Ultra Moon on 3DS, or you’re just looking forward to Pokemon: Let’s Go, Pikachu and Eevee on Switch, there are plenty of ways to show off your love for these pocket monsters this Halloween. 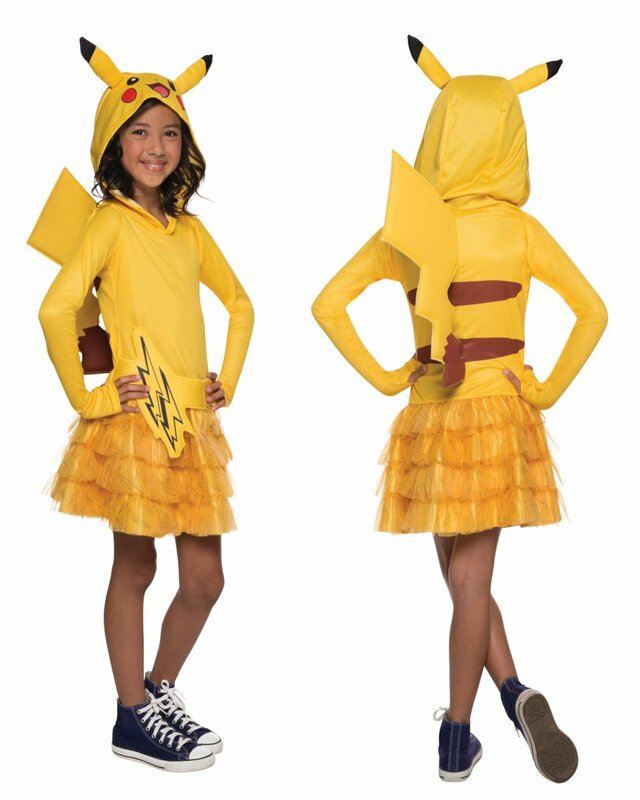 Kids can become creatures like Squirtle, Gengar, and Pikachu (in either dress or onesie form), while adults can dress like Pikachu, or even a Poke Ball. Of course, Pokemon isn’t just popular at Halloween. If you have any of the hats and t-shirts that are available all year round, you can throw together your own “Poke Fan” costume by adding a couple of accessories, like this Pikachu headband or Charizard beanie. Don’t forget your Pokemon candy bucket, too.